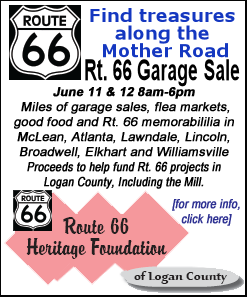 [May 18, 2010] The Route 66 Heritage Foundation of Logan County is once again bringing its annual garage sale to Logan County and beyond. The fourth annual Route 66 Garage Sale will be on June 11 and 12 from 8 a.m. to 6 p.m.. The garage sale throughout the county will have special sites at the Lincoln McDonald's, Postville Park and the Railsplitter Covered Wagon site at the Best Western Lincoln Inn. In addition to those specified sites, all of the Logan County communities -- including Atlanta, Lawndale, Lincoln, Broadwell and Elkhart along Route 66, as well as neighbors to the north in McLean and neighbors to the south in Williamsville -- will also have townwide garage sales, and the downtown Lincoln businesses will have sidewalk sales. The Route 66 Heritage Foundation of Logan County, along with project manager Bruce Huskins, would like to collectively encourage as much involvement as possible from Lincoln and the surrounding communities. This will be a great weekend, not only for vendors and families in each community having garage sales, but also a great opportunity for churches, youth organizations and other not-for-profits to get involved and raise funds for their groups. The organizers appreciate everyone's participation and look forward to a very successful weekend event that will showcase Lincoln, Logan County and its Route 66 heritage. 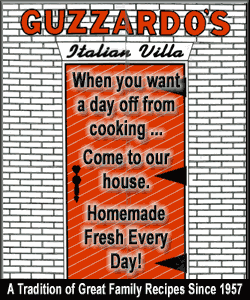 Check www.route66garagesale.com for fees, forms and deadlines, or call 217-732-8687 with your questions.